RUSH: To the phones now, we go to Jason in Toronto. We start with you, sir. Welcome. I’m glad you called. CALLER: Thank you so much, Rush. I want to tell you that I’m a hundred percent Canadian. I love my country. I’m of the breed that fought on Juno Beach, Viet, Korea against the communist Koreans. I want to say I am a hundred percent behind your president because I am not a globalist. I don’t believe in globalization. 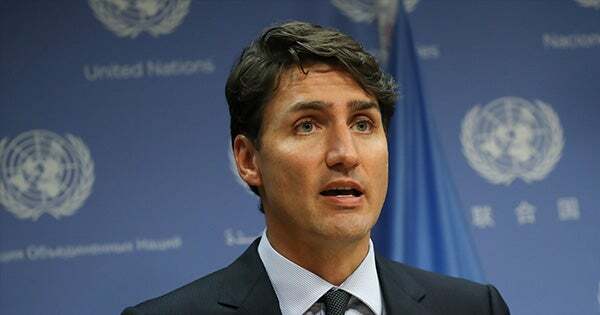 And I want to tell my neighbors down south, my prime minister, while I have to respect the fact that he won, he is a globalist, he is a leftist, and the people that make up his administration, they do not like your country, they do not like Israel, they’re all UN leftist globalists. And I have to point that out to you guys so that you know your president is on the right track. Wait a minute, who uses fake eyebrows? I mean, actors and so forth, but if your vanity is such as a world leader that you gotta use fake eyebrows, I think it could tell us something about you, not happy with your appearance or maybe a little phony or any number of things, depending on how deeply psychological you wanted to get. But there’s one real guy in this whole mess of G7 people, and it’s Donald Trump. And it is clear they don’t have the slightest idea how to react to him. And that’s something that is not unique to them. And that still surprises me. RUSH: You know, it’s funny, this little Trudeau guy (imitating Trudeau), “I will not be pushed around. I am prime minister of Canada. I will not be pushed around.” And the media applauds the little guy. “Look at that. Trudeau says he won’t be pushed around.” But that’s what Trump is saying. Trump’s running around saying we’re not gonna be pushed around anymore. The United States is not gonna be pushed around anymore. And the Drive-By Media condemns him. And the Washington political elites condemn him. What, we’re supposed to be pushed around? Is that what being an American means, we’re supposed to be pushed around? That’s the guilt that we have of being a superpower, we’re supposed to let people take things from us? So I guess it’s okay for Canada not to allow themselves to be pushed around but not for us, we should be pushed around. That’s the price we pay for our superpower status. And so, once again the question arises: Just for whom are the media rooting? I want to go through some of these trade numbers. I meant this earlier, folks. This is a subject that has never, ever been a dominant topic in campaigns. It’s never been a subject on which votes are cast or turned. Donald Trump has made it that. And I’ll be honest with you. When I thought Trump was gonna be successful very early in the primary season, in 2015, not long after he came down the escalator and I saw the first poll results, I thought something is happening here that nobody is ever gonna understand. From that moment on I believed that Trump could win. And then some time later I became convinced that he would. But when I kept harping on the trade deals, I began to think, you know, okay, we got it, but move on. That’s not something people are going to get all fired up about. How wrong I was. In the parts of the country where Trump ended up shock winning, these trade deals have meant everything. More importantly, the results of these deals have meant everything. These trade deals have epitomized what average Americans think of Washington. Actually, better stated, these trade deals illustrate to average Americans what Washington thinks of them, and that is: not much. Let me give you some numbers here. The media refuse to report these facts, and when they do, they actually lie about them. But this is what we are up against. The Census Bureau says that we had a $17 billion deficit just with Canada alone in 2017. The Census Bureau says that the United States had a $151 billion trade deficit with the European Union in 2017. Now, Trump has to repeat these numbers all the time because otherwise the American public would never hear them. And it is thought that the numbers get lost in the fog anyway, because how often do we hear about the budget deficit and how it’s gonna kill us and how it’s gonna wipe us out, and the national debt. So all these numbers just get thrown into a hopper, get all jumbled up, and people can’t keep track of ’em. And the Drive-Bys, when it comes to the trade surplus numbers or deficit numbers, they don’t even bother to report them other than when the government officially announces the latest number. You can announce a trade deficit of $800 billion with the ChiComs and with the Pacific Rim and people go ho-hum, because it’s just been the way we’ve been doing business. But here comes Donald Trump, and he has brought this to life in terms of what it actually means to the people who are harmed by these deficits. It turns out to be our agriculture community and much of the manufacturing base. And these people have had their noses out of joint since the early nineties or even before. They have felt ignored. They have felt as though the elites in Washington don’t really care about them. And they’ve had no recourse. And here came Trump in 2015 and ’16 talking about this constantly. And he turned something that’s esoteric into an issue on which votes turned. And these people still haven’t figured it out. Official Washington, the elites, the media, still have not figured this out. And so they continue to demean Trump because this is something that you’re not supposed to spend any time talking about. It’s just the way the world works. We are running trade deficits with our partners because that’s what necessary for a good, decent New World Order to exist. It’s what they expect, it’s what we’re capable of. But Donald Trump singularly focused on making America great again and establishing America first, in terms of priorities. And, by the way — and he’s explained this too — that’s not meant to also be because of creating harm to others. The way Trump explains it, every world leader ought to be trying to put their country first. And if every world leader was doing that, then on that basis negotiations would take place, deals would be made that would be fair and equitable all the way around. But if one of the trading partners is supposed to bite the bullet, if one trading partner’s supposed to pick up the slack, if one trading partner is basically supposed to be the dumping ground of the world — and that’s been us — well, that’s not acceptable to Donald Trump. And so he’s stepping up and it just has these people’s underwear in a wad, they don’t know what to do about it. They don’t like the way he’s preparing for the summit with Kim Jong-un, even though they couldn’t have put one on. They don’t like the way he’s preparing. They don’t like the way he’s getting ready to conduct it. They don’t like what’s on the agenda. And they couldn’t even make this happen! The people criticizing Trump are the people who essentially have allowed the North Koreans to expand and strengthen their military and nuclear options, starting in the modern era with the Clinton administration and continuing right on through the Obama administration. And I’ll bet you one thing that Trump zeros in on with this little Kim Jong-un guy is Iran. 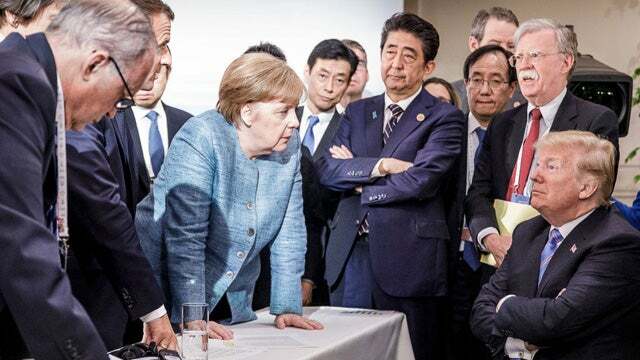 And, by the way, that, if you want to know my humble opinion is what really has these clowns’ nose out of joint in the G7 is that Trump basically threw their climate change stuff right back in their faces, and they were forced to swallow it. And he continued to say, “I’m not even gonna go to that meeting. This is a waste of time. I’m not gonna put the United States at risk in this regard. I’m not gonna do it. We’re not gonna pay for that, too.” And they just can’t stand it! Well, the one thing Trump’s gonna get to the bottom of with this Kim Jong-un guy is North Korea’s relationship with Iran, because, believe me, there is one, and it’s no good, and it is bilateral. 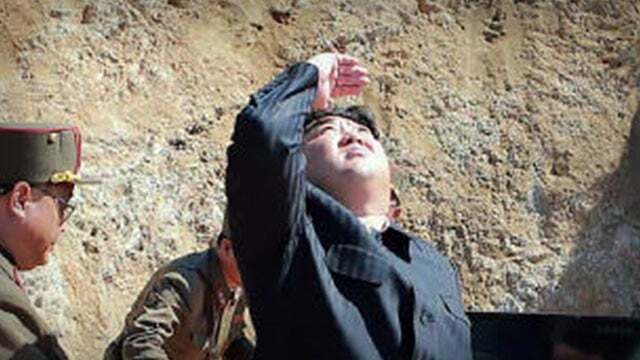 Meaning, the North Koreans have things that the Iranians want, such as nuclear capability. And how do the North Koreans have it? Well, largely because of United States largesse! We’ve given them the money! They told us they would not do nuclear weapons with it, that it would just upgrade their electrical grid. Same thing the Iranians told us, ironically. And we said fine and dandy, that sounds like something we can live with. Every previous administration really didn’t want to do anything about North Korea. They’re this backwards bunch of Stone Age little people over there, and they’re launching these little toy rockets in the ocean, never been gonna hit us. We gotta act like it’s a big threat, we gotta make people think it’s a big threat, but it’s not really, we’re not gonna waste any time on it. To the Donald Trump, this guy shouldn’t be allowed to get away with what he’s getting away with in terms of threatening the United States. When Donald Trump is running this country, you don’t get to threaten us with impunity. You don’t get to threaten to nuke us. You don’t get to threaten to blow us up. You’re gonna pay a price for doing that. It’s the way it ought to be. But too many people look at that, “Trump is just mean. That’s not the way you deal with this little guy.” It certainly is. Has it is not been borne out? That’s exactly how you deal with the guy. So we’ll see what happens. 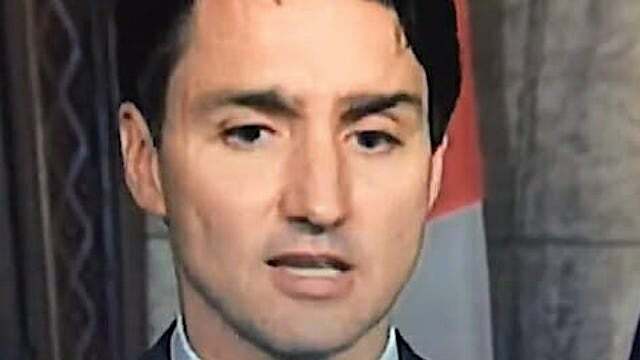 Daily Wire: Did One Of Canadian PM Justin Trudeau’s Eyebrows, Like, Come Off? !